There is nothing better than a Classic Love Wedding Cake. A simple, but beautifully designed three tiered cake that will add a splash of colour to your wedding. Of course, there is nothing better than a Classic Love Wedding Cake. A simple, but beautifully designed three tiered cake that will add a splash of colour to your wedding. 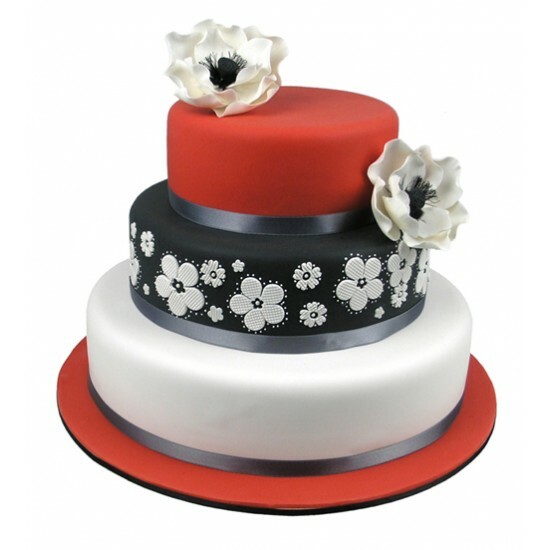 With a red base, the white iced bottom tier really stands out. 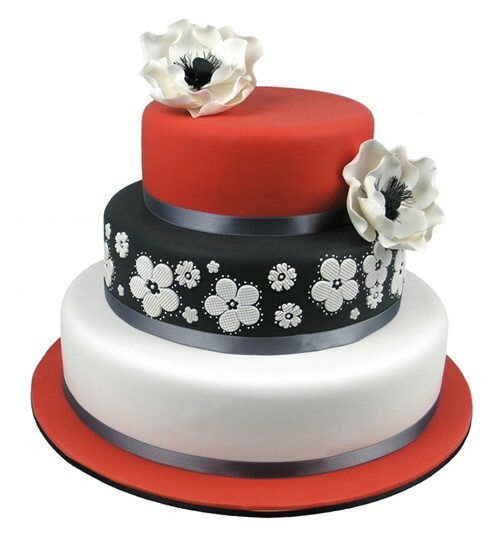 The second tier contrasts perfectly, a black iced base, decorated with imprints of flowers. Two stunning, hand made Dog Roses are placed around the base and on top of the top cake, which is iced in red to really inspire a really classic wedding.